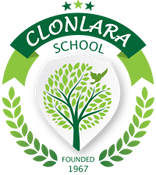 Clonlara School’s Online Program provides a comprehensive distance-learning option for students who are looking for “ready-to-go” courses. We offer a wide variety of self-paced, teacher-supported online courses for students in grades 5–12, with the added support of a Clonlara advisor. Students can enroll full time, for a semester, or for individual courses. Clonlara’s online students have the freedom to learn and complete coursework at their own pace, ensuring them the flexibility to work whenever and wherever fits their busy schedules. Students can start the program at any point in the year and have a Clonlara advisor to help set their educational goals, support and monitor their progress, and assist them in the development of a self-designed course. All of our online courses include a teacher to answer questions and grade assignments, and Clonlara’s documentation process provides families with official records that seamlessly transfer to other schools. Full-time high school students will choose 5 credits from the High School Online Program Course Catalog (PDF). Full-time middle school students will choose 5 yearlong courses from the Middle School Catalog (PDF). All full-time students will also complete at least 1 self-designed course that they create with their advisor. High school students enrolling for one semester will choose 3 credits from the High School Online Program Course Catalog. Middle school students will choose 5 semester-long courses from the Middle School Catalog (PDF). All online students enrolling for one semester will also complete 1 self-designed course that they create with their advisor. 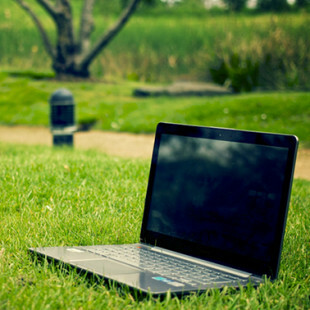 Students enrolled in Clonlara’s Campus and Off-Campus Programs can take individual Online Program courses. See the High School Catalog (PDF) or Middle School Catalog (PDF) for course descriptions. Contact us for individual course pricing. Note: Siblings receive a 10% tuition discount. For your convenience, Online Program tuition may be paid by credit card or check in up to four installments. Access 24 hours a day, 7 days a week to comprehensive, “ready-to-go,” online courses, which include readings, links to resources, and more. A teacher for each individual course. Teacher support includes lesson review, grading, comments, and answers to individual student questions. Educational guidance and support from a Clonlara Off-Campus Program advisor and assistance developing self-designed coursework. Official private school records, documentation, and transcripts. Information on creating learning plans, earning credits, and progressing toward a high school diploma. Access to the Clonlara Commons—our web portal—which contains online forms and the student’s transcript. Please review our Online Program FAQs or contact us to request more information.